Over 650 acres to explore and 12 official trails to hike. And those are just the ones in the park. Others connect at the top of Burma Road just to the northeast of the park on BLM land. Hikers of all levels can find a path that suits them with galleries, elevation graphs, and maps of each. We've even put a few suggested hikes for you to check out with round trip mileage all figured out for you. Bringing your pet? No problem. Just observe the leash laws and everyone can enjoy your pet while hiking on the trails too. And if you want to explore other pet-friendly trails in the state here you go. Care to explore beyond the park? 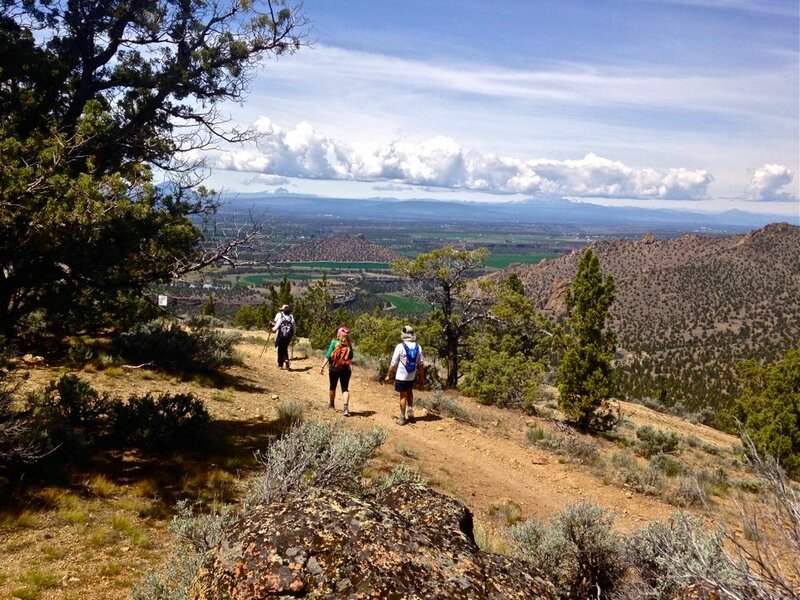 Take the Summit Loop to the junction of the Summit and Burma Road Trails, and continue straight on the Gray Butte Trail on BLM land. Here's a map for all the hiking trails once you leave Smith Rock State Park.